The Contact is NDA's e-newsletter and contains news, stories, interviews, education, club updates, show results, and more! Do you have a suggestion for an article or story? Would you like to write something yourself, or get permission to republish something from another source? Do you have photos from NDA events we can include in the newsletter? GREAT! We'd love to include these things. Please email the newsletter editor! 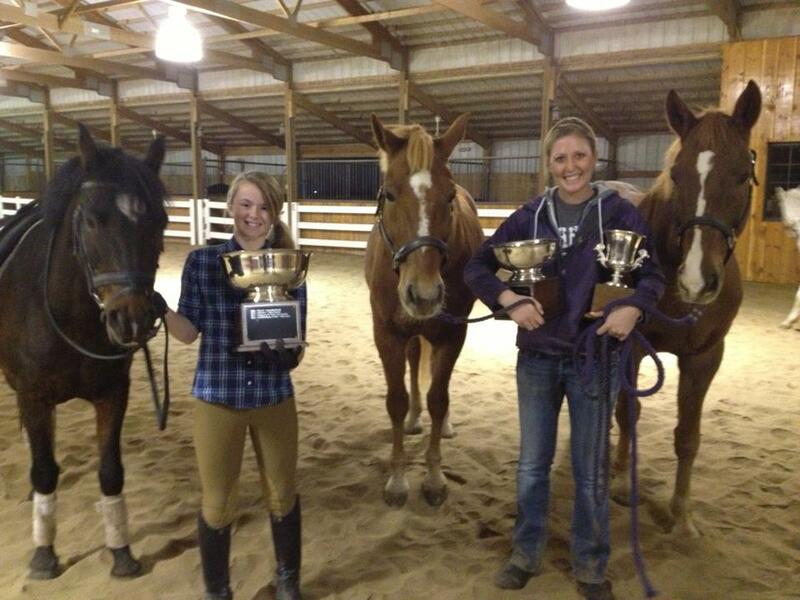 Darby O'Gill, Tillie Jones, Umbro, Laura Stueck and Orlando posing with some of the awards they won at the 2012 NDA Year-End Banquet.